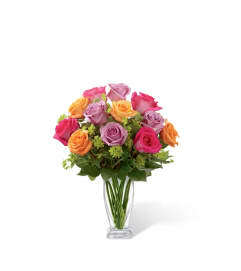 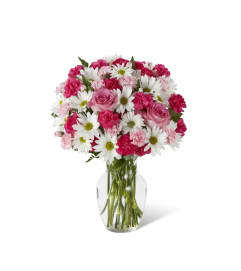 The FTD® Sweet Beginnings™ Bouquet exudes the promise of each day's potential with its unlimited beauty. 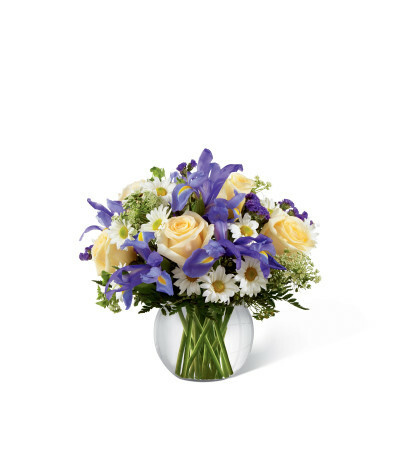 Deep purple iris mingles with pale yellow roses, white traditional daisies, Queen Anne's Lace and lush greens to create an incredible look. Arranged in a clear glass bubble bowl vase, this bouquet is full of warm wishes and sweet sentiments.